Master Lock debuted their resettable combination padlocks at the Associated Locksmiths of America Convention & Security Expo, ALOA 2014 Convention July 24th-26th in New Orleans, Louisiana. These new padlock models feature dual deadlocking security in a streamlined design. The dual deadlocking mechanism provides enhanced physical security protection against prying shimming and rap attacks. Master Lock also added a shackle seal and dust cover to better protect the locking mechanism components to allow for trouble-free operation of the padlocks. The commercial models may look similar to the No. 175 and No. 178 combination padlocks but looks can be deceiving, it is what is on the inside that counts. 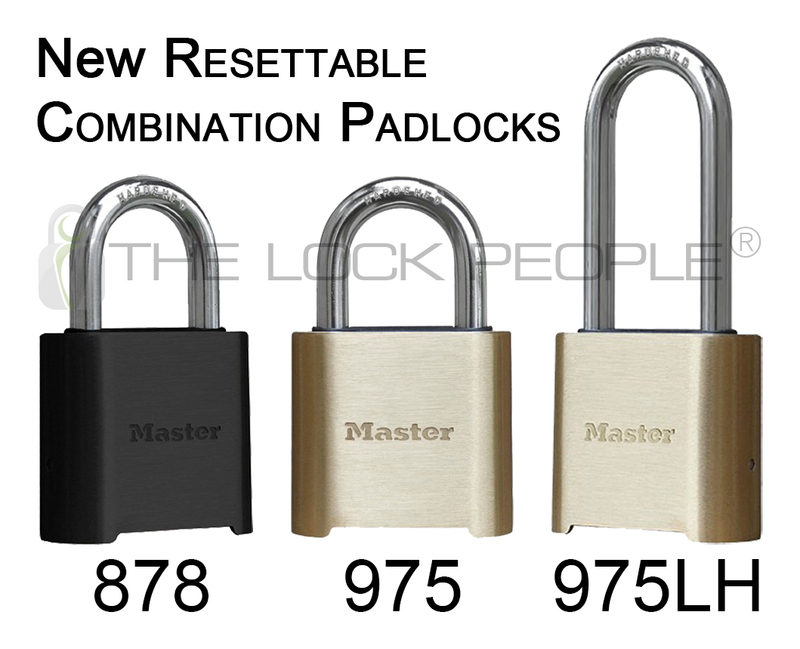 The Master Lock Company has taken great steps innovating the old models to produce the new 878 and 975 models. The dual deadlocking mechanism (pictured below) allows for resetting the combination without the use of a combination change tool, such as the K175, which is required for model numbers 175, 176 and 178.